Though IT has changed the way businesses run, yet most organizations use IT to cut costs and maintain day-to-day operations, rather than use it as a strategic resource for achieving business goals. 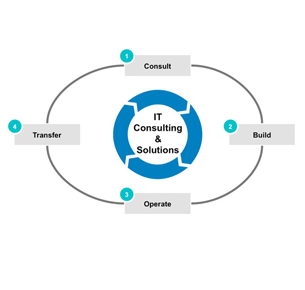 A well defined IT strategy is of utmost importance that enables an enterprise to think and plan ahead, and equips it to meet challenges in IT governance, improve business processes and develop the most optimum applications to excel in business. Lorvent Solutions works with several enterprises to help them manage their business better and remain competitive in this world. We offer various solutions from pre-implementation consulting to post-implementation maintenance and support. Consulting firms usually work on percentage of the profits but we never thought of that but for the cause of helping organizations to get set in this competitive business market.